Kathy Jacobs is our Office Coordinator. She and her husband Josh have been CBT members since 2002. Their two sons, Andrew and Nathaniel, both attended religious school and became Bar Mitzvah at CBT. Kathy has a BS in Business Administration but after graduation continued her education and received K-8 teaching credentials. She taught Kindergarten and 1st grade until the birth of her first son. 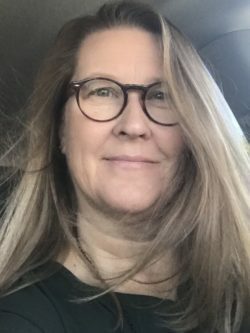 Kathy also has extensive experience in volunteer work with 11 years of PTA hours logged in positions from president to yearbook coordinator/editor in the K-12 district in Benicia, board positions on the Benicia Education Foundation, and work with students at the teen center in Benicia. Now, serving her community at CBT, Kathy feels a continued connection with what is important in life; family, friends, community.